Chicago French Market presents “Meet Alpana Under the Eiffel Tower,” an eight-course champagne brunch with WTTW’s “Check Please!” host Alpana Singh, 11 a.m.-1 p.m., Saturday, Feb. 19. Guests will get the chance to meet Alpana while enjoying the wine-paired tasting brunch prepared from food offerings of select market vendors. Attendees will receive an autographed copy of her book, Alpana Pours. The cost is $40 per person, which includes the book, tax and gratuity. Reservations are required, and can be made at http://www.chicagofrenchmarket.com/. Space is limited. Contact Chicago French Market with any questions, or to purchase tickets at http://www.chicagofrenchmarket.com/. 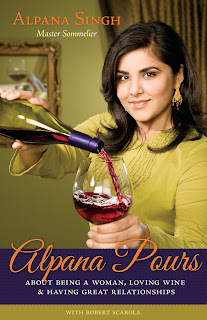 Alpana’s professional accolades include “Best Sommelier in America,” Wine and Spirits Magazine; Crain’s “40 under 40”; Food and Wine’s “35 under 35”; “Best Sommelier,” Chicago Magazine 2004; Jane Magazine’s “30 under 30”; and a 2002 James Beard Foundation “Nomination for Wine Service”. She has been featured in numerous publications including Newsweek USA Today, Chicago Tribune, Chicago Sun-Times and The New York Times. Alpana led the Chicago PBS Television (WTTW) hit series “Check Please!”, which she hosts, to its second Emmy Award and the distinction of being the #1 rated local Chicago television program. Alpana is very active in charitable causes including Children’s Memorial Chicago and the Chicago Lighthouse. She is co-author with Robert Scarola of the wine book Alpana Pours (Academy Chicago Press, 2006).